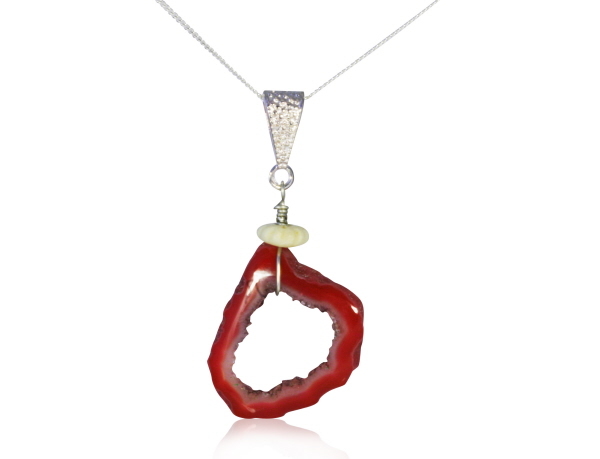 It is crafted from a gorgeous highly polished red Agate Slice strung with Sterling silver wire from an 18 inch solid silver curb chain. - along with a carved wooden bead. The Agate slice has a lovely crystalline layer around the hollow centre - and will look gorgeous around any neck! The Agate Slice measures 2.5cm across.